Negative thoughts occupy your mind and block it from letting you live a healthy life. Negative thoughts come from negative memories from past life experiences stored in your subconscious mind. You carry them with yourself and define how you choose to perceive your life. Negative memories will make you develop a negative attitude towards life. Clearing your mind of negative thoughts will help you to achieve a positive and healthier lifestyle that will add not only years but lot of happiness to life. Why are negative thoughts bad? Past trauma – mental, physical or emotional- gets stuck as negative thoughts and beliefs in our subconscious mind which feeds conscious mind and we emanate negative energy. This negative energy leads to disease as well as negative attitude and blocks love, happiness, abundance and success to reach us. Our relationships, career, health and everything suffer. This makes it crucial that we weed out negative thoughts and release them. Pull them out from roots and replace with fresh seeds of positive thoughts. Your life will begin to make sense and you’ll enjoy profound changes. Think about a beautiful garden laden with flowers. After few years, if no one takes care of it, what will happen? Weeds will take over the entire garden and choke the once-beautiful flowers to die. For the plants to grow and flourish, you have to remove the weed, supply water, sunlight and manure to help plants grow. Similarly, if you don’t take good care of your mind by weeding the negative thoughts and supplying it with happy positive thoughts, then your life will soon become a mess. No one else can enter your mind. It’s your space. Only you can clear it of the negative thoughts. Confront your negative thought by acknowledging it out in the open. Maybe tell it to a close friend and laugh at how ridiculous your mind is. Realize that it’s absurd your mind is thinking this way. Laugh it out. Whenever a bad thoughts cross your mind, laugh it out. Write down your negative thoughts on a paper. Crumple the paper and throw it away. Move on. It is not possible that negative thoughts don’t enter your mind but whenever they do, don’t let them overpower your mind. 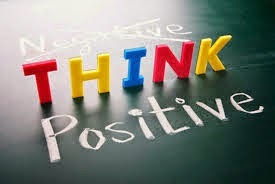 Think about the counter positive scenario and move on. Calm down and take a deep breath. Stop all activities and stand with your feet touching the ground. Breathe in and out. Do this at least five times. Set a time limit for each negative thought. For example, tell yourself that I’ll not harness any negative thought beyond 1 minute. Exercise every day to lift your mood and also release mood-enhancing hormones. Walk away from the bad situation and do something else. Create your anchoring positive statement. Whenever a bad thought comes, tell your inner self the positive anchoring thought. Is your mind controlling your life?